People are giving me blog awards again. Thank you Morgan! ♥ Leave a link to their page. ♥ Give a brief story about how you started blogging, and share some tips. So once upon a time I was on Pinterest and saw a random link to the lovely Sarah's post about characters. I looked at the post. Then I looked at her whole blog. Then I looked at some of the blogs she follows and was sucked into the world of blogging. And since I want to *starts singing* be like the cool kids, I made my own blog. Reply to comments. Seriously. Not only will you make some baby blogger freak out because "OH MY GOSH SHE NOTICED ME", but it's so much more personal. And humans like personal. One of the blogs I follow never replies, and I rarely even read the posts because they're kinda...boring when I know she'll never reply. Be fun. Be yourself. We want to see you, not the person you feel like you have to be on the internet. If you ramble and flail in real life, do it on your blog. ♥ Thank the person who nominated you and include a link to their blog. ♥ List the rules and display the award. ♥ Add 7 facts about yourself. 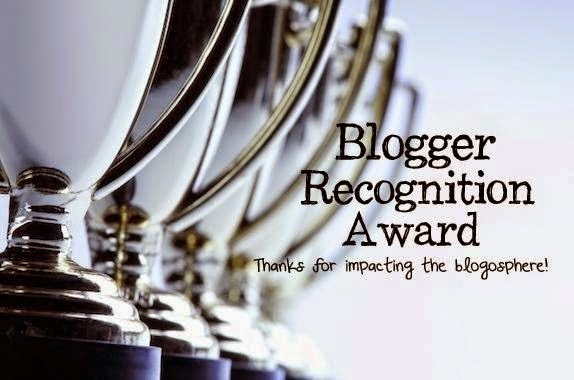 ♥ Nominate 15 other bloggers. Once again, thank you Morgan! Go check her out guys, she's awesome! 1. I like fantasy books and movies. 2. I have have terrible vision and astigmatism. Thank heaven for contacts. 3. I am taking Anatomy and Physiology this year for science, and I LOVE it. 4. I have a kitty and she is fluffy and hides from strangers. 5. I have been to two concerts: Imagine Dragons and Bastille. And let me tell you both of them were fabulous. 6. I was born in SoCal. I choose Victoria, Imogen, and Cait. See you soon, you wonderful blogglings!! You are so very welcome Cait! I love when people reply to me, and I love replying to people, so it's a win-win! DOWN WITH ONE-SIDE CONVERSATIONS. Yay for more ENFPs. For Disney, I usually see Ariel or Rapunzel, which makes me happy. I'm glad you like my blog; thanks for visiting! Thanks for the nomination Krissy! I totally agree with your tip about commenting back. It's something I've tried to do for a long time. And I really think that it makes a difference to me wanting to comment on a post, knowing whether someone's going to comment back or not. For myself, I'm not really great at commenting back quickly, but I do try to get to all the comments eventually. Commenting is the best. Thanks for reading! Thank you so much for the nomination! I'm finally getting to it lol. Commenting back is must and I love gifs. And cute! Kitty. ^ ^ I have a kitty too.